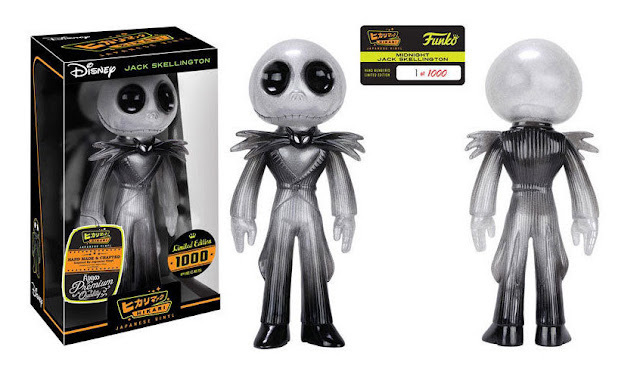 These limited edition Hikari Sofubi Jack Skellington figures by Funko are really spectacular. Each vinyl is labeled with a number and there is a cap on how many will be made. For how rare it will be in the future, the price is very reasonable. "Hikari, meaning ‘light’, is a highly collectible line of clear Sofubi Vinyl Figures. These will be ultra-limited and piece runs will range from 250 pcs-5000pcs depending on the treatment. Each Hikari piece will include a numbered card to prove authenticity and rarity." The Jack Skellington Hikari figure is really ominous, especially since his body looks a little foggy. Since he looks like he is fading in and out, this piece definitely looks as though he is a part of Halloween Town. 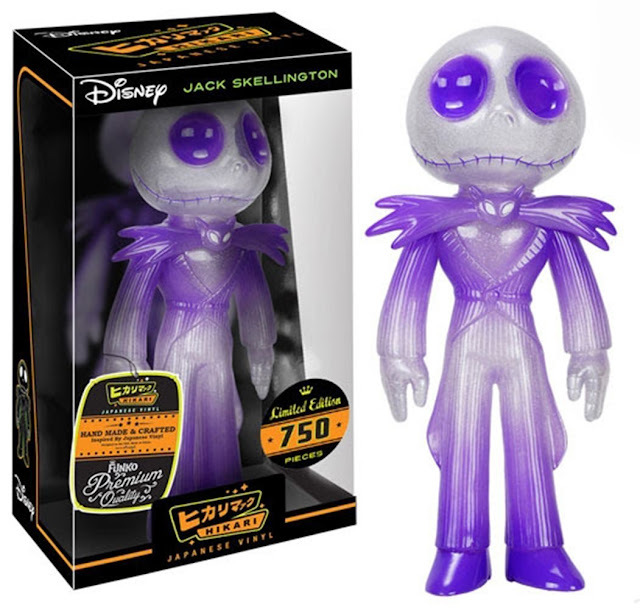 The limited edition Hikari Jack Skellington figure is also available on eBay. The figures come in Amethyst, Midnight and Christmas colors. What do you think of this limited edition Hikari figure? There are a lot of other figures that you might be able to find that suit your needs. I just know I need to start collecting all my Tim Burton favorites! Comment below!